Norwegian radio personality and actor who became famous as one of the three hosts of the long-running Radioresepsjonen radio show along with his brother Steinar Sagen and Bjarte Tjostheim. As an actor, he is known for his roles on series like Side Om Side and movies like The Almost Man. He attended the Westerdals Oslo School of Arts, Communication and Technology as well as the University of Oslo. 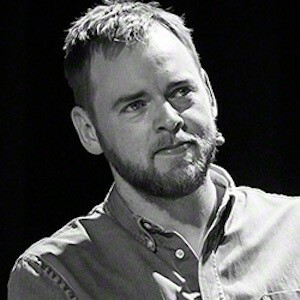 He co-wrote the 2010 book Den Relativt Store Boken Om Radioresepsjonen. He married actress Live Nelvik in 2011. He has a daughter named Liv. He appeared in the 2011 comedy Hjelp, Vi Er I Filmbransjen, which starred Peter Stormare as himself.